Make sure Kaishyu is up to speed with Bond Enthalpies. Give him the theory and explanation and help him through the questions we did last lesson found on the Google +. Take a Bond Enthalpy Calculations sheet. Do the first 5 questions. Check that everyone agrees with your answers. Chose any other 5 questions to do on that sheet. (Make sure you all choose the same 5). Share and discuss your answers. From your textbook, complete Q33 – 38 and check your answers. Read and take your own notes from the section on Ozone Depletion from the text. Congratulations – you have finished your first SL topic! This entry was posted in Grade 11 Chemistry on September 22, 2016 by Merilyn Winslade. IB Chemistry is a challenging subject whether you are doing SL or HL. Content heavy subjects can be tricky so here is a guide with some practical tips for studying. How much time should I spend studying? This is different for different people and you will need to work out the best course of action for you. The research says though that distributed practice is more effective than mass practice for learning. In other words, forget cramming! After first semester of grade 11, the volume of content covered makes cramming too difficult anyway. And you definitely want to avoid having to re-learn the course every time you sit a test or exam. Better to learn it as you go! So what does this mean? Here are some guidelines. These are guidelines which you need to adjust for your own needs. You need a routine and you need to stick to it. IB students have an incredibly packed timetable. Use a calendar app like Google Calendar or iCal to map out your schedule. Put everything on to it and see where the gaps are. Time to do homework – this is separate from studying! Free time – time to play, exercise, watch tv or whatever! Note where the gaps are and allocate those times for study for various subjects. If you see that there isn’t enough time, you may need to make some adjustments and prioritise. Are you over committed with clubs/sports? Free time is important for balance but 3 hours a night is just as unbalanced as no or little free time! Print this out and put this up somewhere near where you study. Share it with your parents so they can help support you too. You need to study differently for these three different tasks. Here’s how. There are lots of definitions, formulae and diagrams that you need to be able to recall. Often these are one point questions on the exam but all those one pointers add up! Don’t miss out on easy marks! Here are two strategies for memorising information. Whether you use a program like quizlet or if you just make them by hand, practicing with these for a few minutes regularly will quickly find you memorising things fast. If you use quizlet it is important that you complete the learn function before trying any of the games or tests. Many people find writing information out by hand again and again until you can do it from memory to be more effective for memorising. Have a master copy of everything you need to memorise (like your definitions sheet). Below is one page of Rino’s definition doc. Notice how she has organised the information in a way that works for her – by topic. She has also included diagrams and other information she feels important to remember. Creating this document also makes her think about what information is important to include. She can then use either of the strategies above to memorise the information. And she can ask her parents or friends to test her knowledge from the sheet. This is trickier. Many students think that just re-reading their notes or text is enough but this actually doesn’t help much. Here are some strategies you can use. Read the section in your text that we will be covering in class before the class. Then when you get home, re-read the same section. This doesn’t take very long and you can do it on the train! You’ll be surprised how much you will remember the following class if you do this! Close your textbook/notes and make a map! Now open your notes or text and add anything you missed or didn’t include correctly. In you next study session, repeat the exercise until you can produce a map/summary with all the information you deem important from memory.Keep and display your best one. Add to it when concepts from other topics connect to it. This should be growing and changing as you move through the course. Make it a once a week deal. Be prepared – agree on what you will discuss before the meeting so you can review a bit before hand and identify the tricky bits you need help on. Talk – don’t just sit back and listen. Actively participate. Ask questions. Decide on the next meeting and topic before the end of the current meeting. Below is a protocol you can follow in your study group. Just make a copy! Often this involves calculation practise. Like everything else you should spread this out. Don’t practice ∆H calculations from Bond Enthalpies for 3 hours and then never do another problem for six months! Once you feel confident with a type of calculation, do one problem of that type every couple of weeks or so to keep it fresh. If there is a certain type of calculation you find hard, start with easy examples and work up. And if the easy ones stump you – seek help immediately! Where can you find problems to practice? Your text book – do them all! Finally, you will need to practice exam type questions. You can do this by re-doing old tests, practicing past paper questions supplied to you by your teacher or that you find on the internet. You should do these under timed conditions (roughly 1.5 minutes per mark) so you get used to the pressure. I schedule everything. I know that I work best in the mornings, so I try and do some work before school starts – this is easy for me because I don’t have a long commute. I also look at my schedule for the next day and plan before I finish for the evening, what I’m going to get done the next day and when. This helps a lot. Make sure you have the right environment that is conducive for your study. Make sure your desk or work space is clear and you have everything you need. Don’t respond to emails, texts, skype etc whilst you are working. Put your phone on silent. Leave these distractions for when you are on a break as a reward. Listen to quiet instrumental music. I use something called the Pomodoro technique. This involves breaking down my work/study into 25 minute chunks. Knowing I only have 25 minutes of work before I get a break makes it easier to start. I decide how many 25 minute chunks I’m going to do, and then I count them down. My record is 16! Let’s share our best tips! Do you have a technique that works really well for you? Please share it by commenting on this post. I want to keep adding and refining ideas and techniques to this post to make it the best resource possible! This entry was posted in General, Grade 11 Chemistry, Grade 12 Chemistry and tagged IB, study, study tips on March 30, 2016 by Merilyn Winslade. Review the text chapter 11.3 – Spectroscopy and make any additional notes you feel necessary. HL read the text chapter 21.1 which talks a bit more about nmr and also include x-ray crystallography. Complete the end of chapter questions. (i) work out the IHD – what does this tell you? (ii) look at the IR – what functional groups are present? (iii) look at the MS – what fragments make up your molecule? (vi) check the Hnmr and choose the structure it fits! Now you are ready to try some past paper questions. This entry was posted in Grade 11 Chemistry on March 1, 2016 by Merilyn Winslade. Snow from a few years ago. Keep warm everyone! Hi everyone! It is a winter wonderland out there and I hope that you are all warm and cozy inside your houses. Please check below for the work you need to do today. I will be online during your regular class time if you want to ask me any questions. There will be a test focussing on topic 6/16 but including work from all of grade 11 in two weeks time (see Veracross for details). Use the syllabus to make sure you have included everything you need for the topic. The full syllabus can be found on my blog or you can use the statements at the beginning of each chapter in your text. Making flash cards on quizlet or on paper of definitions and diagrams that need memorising. Only after doing all this should you then go to past paper questions for practice. We need to finish your experiment. Please follow the instructions below. All reaction rates should have been calculated and entered here. If the table isn’t big enough, make it bigger to fit in your result. Make your own copy of the spreadsheet. Use a formula on the spreadsheet to calculate the average for each mixture and put the result in the averages sheet along with the initial concentrations of the three solutions from the instructions. (Look at the second tab at the bottom of the spreadsheet). Deduce the rate expression for the reaction and your value for k and post it as a comment under this google+ post. Ask your mum for a plastic supermarket shopping bag that you can destroy! Follow the instruction on the activity sheet found here or on the google classroom. Answer the questions at the bottom of the sheet. Log in to BrainPop using your 9 dots thing. Do the Classic quiz. You need to repeat it until you get at least 8/10. I will be checking that this is complete at the end of the day. Have fun! This entry was posted in Grade 10 Science, Grade 11 Chemistry, Grade 7 Science on January 18, 2016 by Merilyn Winslade. Create a labelled diagram(s) to illustrate these six terms and upload it to the Google+ in the category 1 Stoichiometry. Have a read through these worked examples on molarity (working out concentrations of solutions). Go back to the Google+ and look at the diagrams other people posted. Click the +1 button for the one you like the best and put in the comment what you like about it. Now try some of the problems here yourself. What is the difference between a homogenous and a heterogenous mixture? With a partner, agree on the answer to this question. Then record a video of your agreed explanation (no longer than 30 secs) and upload it to the Google+ community under the subject 1 Stoichiometry. Refresh your memory about how reactants and products in a chemical equation are related to each other by playing this game from last lesson. Take a look at the videos posted on the Google+ and put a +1 for the one you think is the best for clarity of explanation and visual appeal! This entry was posted in 1 Quantitative Chemistry, Grade 11 Chemistry, Stoichiometery and tagged concentration, moles, stoichiometry, topic 1 on November 17, 2015 by Merilyn Winslade. 1. Balancing equations – Here you will find 4 different worksheets with practise questions on them. The answers are also there. Practise until you feel more confident. Still stuck? Want more practice? Try this simulation below. Here you will get a section explaining how to convert between moles and number of particles. Then there are some problems to try. You can find the page here. 3. 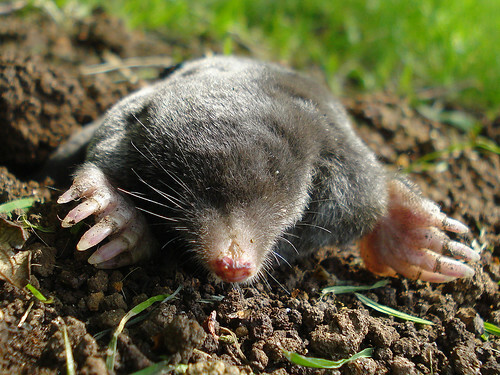 Moles to mass problems – Here you will find a few calculations to practise with the answers. You can find it here. 4. Stoichiometric relationships in equations! Play with the simulation below! You must make it through all 3 levels of the game with 100% correct before moving on to the next section. 5. For more problems, tutorials and general help with the mole, you can use this useful site here. This Crash Course video below is a 12 minute summary of Stoichiometry! This entry was posted in Grade 11 Chemistry, Stoichiometery on November 16, 2015 by Merilyn Winslade. Hi Grade 11’s. I’m sick and at home. I will be online during your class today though. If you need my help, or want to ask me something, you can google hangout me from our Google+ community! Just click the hangout button on the top right corner and search for me. Here is the work you need to do today…. Check your homework. Hopefully you marked your homework already since it is out of the text book. If there were any questions you got stuck on, discuss them at your table. If you still can’t solve the problem, post the question on the Google+ community (atomic structure category) and I or someone else in the community will get back to you! Take a look at the following graphic. What do you see? Describe the picture. Point out all the features shown on the graphic. What do you think? What is this graphic about? What is it trying to show you? How might this be related to our topic on atomic structure? What do you wonder? What questions do you have about this graphic? Is there anything that confuses or puzzles you? It is important to note how frequency, energy, wavelength and colour change across the spectrum. Make sure you’ve noted what increases and what decreases as you move from left to right. Use headphones to watch the media on this post together with your partner. If you are lucky, Mrs Harrison may be there to show you the hydrogen spectrum on our special carousel! If not, I will show you next week. What type of electromagnetic radiation is emitted when the electrons drop to the lower energy level (ie UV, visible light or infrared). Watch the following video that talks about where electrons hang out around an atom. Discuss with your partner what this video is talking about. Draw the shapes of an s orbital and the three p orbitals in your notebook. Take a moment to add any new information that is relevant to one or more of your questions on your fish diagram. If you have some questions from the material presented today, put them on the Google+ in the Atomic Structure category. If you have time left, you can use it to work on your lab report. This entry was posted in General, Grade 11 Chemistry and tagged Cover on October 8, 2015 by Merilyn Winslade. Test is 1 hour only. You will need your own calculator! No sharing! You will be given a data booklet and a test. Put all your answers in the test booklet. Do not write on the data booklet. Begin preparing your lab report. People will not be able to analyse the class data until everyone has calculated their individual result and put it in the table. So please do this quickly. This entry was posted in Grade 11 Chemistry and tagged Cover on September 29, 2015 by Merilyn Winslade. Have a look at the concept map 11B created on the ceiling. It contains both HL and SL material combined. Discuss in your table groups anything they have missed or could have linked more logically. Practise the end of chapter questions in your text book. Good morning grade 11. I’m at the Chiku Centre so here are your instructions for getting on with. Your homework was to read about Gibbs Free Energy in your text book and/or on the handout. Gibbs free energy (G) relates the energy that can be obtained from a chemical reaction to the change in enthalpy (ΔH), change in entropy (ΔS), and absolute temperature (T). Watch the following video together. You may need to pause it a lot and discuss what he is saying as it goes! As a group, come up with a communal set of notes as a summary on Gibbs Free Energy. Put it on a google doc and share it with me. After everyone is happy with this idea, start trying some of the problems in the handout posted on the Google+. This entry was posted in 5/15 Energetics, Grade 11 Chemistry on September 24, 2015 by Merilyn Winslade.